The Chinese Lunar New Year is just around the corner, and as an Chinese American, I am also very excited about the new year’s arrival. Many of you must have also noticed for the past couple season, Chinese style & far east themes has inspired many fashion labels & designers. 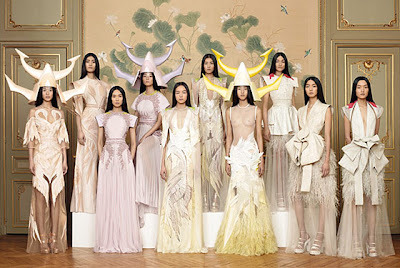 From CHANEL’s last year’s China chic pre-fall collection, Givenchy/s all Asian models cast of their Spring 2011 Haute Couture show just shown last week, to Marc Jacobs Asian inspired spring 2011 show for Louis Vuitton, the “China Fever” has influence the fashion world by storm. So as the Year of Rabbit approaching, we would like to share with you a very traditional Chinese sweets dessert “Tang-Yuan 湯圓” recipe for you to try when you invite your Chinese friends over for dinner during the Chinese New Year moth, I am sure it will give them a pleasant surprise & make them feel just like home! 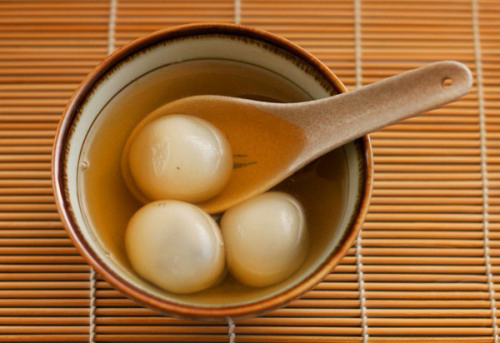 Tang yuan is a traditional Chinese dessert which is well loved by all generations. They’re basically glutinous rice balls (either filled or unfilled) that are served in a sweet broth. 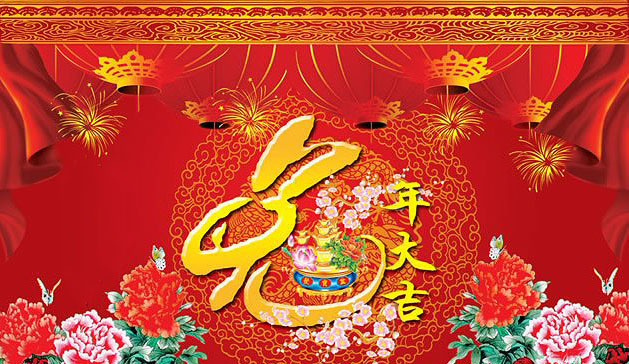 They’re most popular during the winter solstice, Chinese weddings & Chinese New year! Because of the word “Yuan 圓” is synonym to the word “Perfect ion圓滿 & Reunion團圓”; it is considered good luck and symbolize everything in you life will be as perfect as you wish it would be and reunited with your friends, family & love ones. 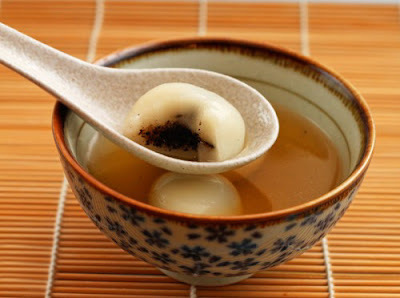 The “Tang-Yuan” can be cook with various sweet broth, some in red bean soup, but my favorite sweet broth is with ginger & brown sugar. 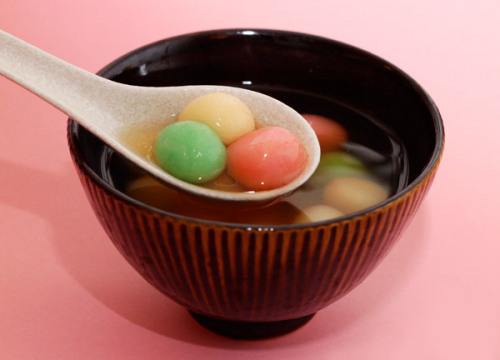 And there is another version of “Tang-Yuan” that’s filled with sesame paste or sweet peanut paste, and that type of “Tang-Yuan” is specially popular in the Lantern Festival, the 15th day after Chinese New Year, which also mark the end of the Chinese New Year celebration. So we will give you these super simple recipe to try. 1. Mix glutinous rice flour with sugar in a large bowl. 3. If you wish to have colourful tang yuans, divide the dough into portions, and add a few drops of food colouring to each portion. Knead the dough until the food colouring is evenly distributed throughout the dough. 4. Shape the dough into 1-2cm balls. 1. Grind the black sesame seeds until they form a fine powder (I used my mini food processor). 2. Heat a small pan over medium high heat, and transfer the ground sesame seeds into this pan. Add the softened butter and sugar to the mixture and stir until it forms a smooth paste. 3. Set aside to cool in the fridge. 4. Whilst the black sesame filling is cooling in the fridge, prepare the glutinous rice balls. The method for this are similar to that described above. 5. 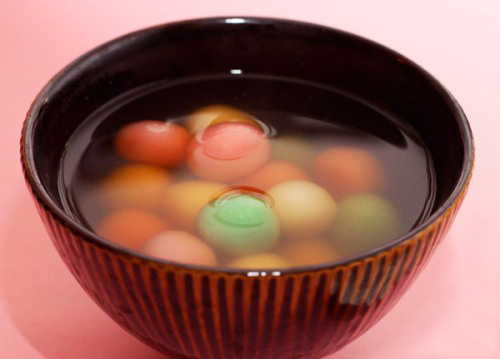 Divide the tang yuan dough into 20 balls. 6. Flatten each ball in your palm, and place a pinch of black sesame paste in the middle of each flattened disc. Fold up the edges (towards the centre of the disc), and press to seal. Once you have done this, lightly roll it into a ball. Take care to not get too excited with the rolling, or you may end up with a burst tang yuan and lots of sesame paste in your hands! 1. Boil the water in a pot until it starts to bubble. 2. Add the pandan leaves and ginger, and boil for 5 minutes. Add the sugar, turn the heat down, and simmer for 15-20minutes. Voilà! There is the supper yummy "Tang Yuan湯圓" ! 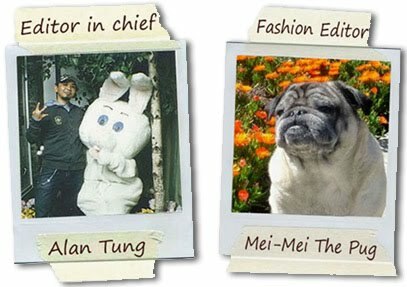 Of course we are not going to just leave you in the kitchen cooking, after all this is the FASHIONISTAS blog! Haha, so to end this special Chinese New Year article, we will show you the 4 popular & simple make-up looks that you can try and wear it to your friend’s Chinese New Year Party! 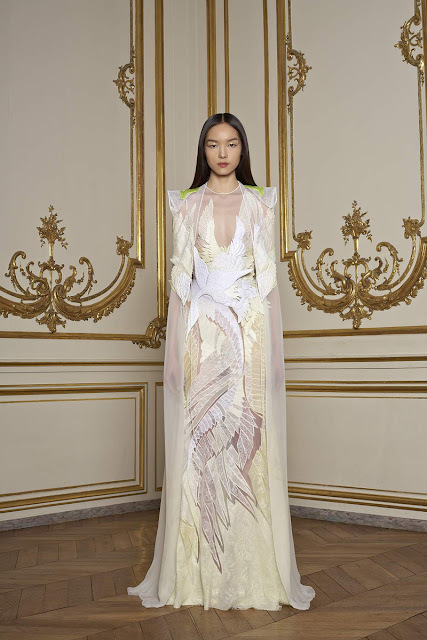 Until next time, Be well & Look Fabulous and…. 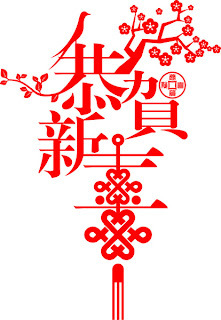 Happy Chinese New Year中國新年快樂 !